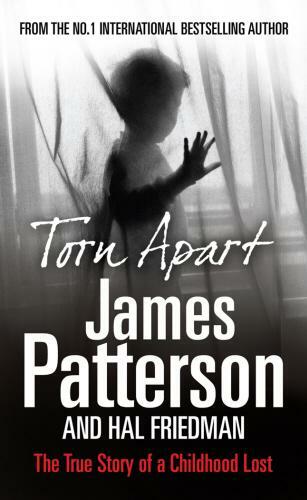 As most of you know James Patterson is one of the best-known detective writers of all time. Two of his novels, Kiss the Girls & Along Came A Spider have been made into feature films starring Morgan Freeman. This is not a detective novel. Torn Apart is his first work of non-fiction. Written together with Hal Friedman. And it is incredibly heart-wrenching. And insightful. And inspiring. And completely un-put-downable. It is written through the eyes of Cory Friedman, who at 5 years old developed a rare combination of Tourette Syndrome, Obsessive Compulsive Disorder, Anxiety Disorder and other neurological conditions. Suddenly the life he knew was torn apart and his family faced challenges on a daily basis that they were ill-equipped to deal with. But they were determined, and embarked on a 15 year struggle which took them beyond breaking point. Cory was seen by 13 doctors, who in total, prescribed sixty potent medicines. He was mistakenly sent to a psychiatric ward, and on the brink of despair, he and his family decide to try a form or intervention that had never been tried in cases such as Cory’s: he was sent to a wilderness survival camp in a bitter, unforgiving, snowy Utah winter. “I go through the motions of living, moving slowly from place to place, trying to respond to things happening around me, but I’m in a total daze. It’s like watching from a thousand miles away … I’ll never forget the sad look on my father’s face as he watches me, and I guess he’ll never forget the look on mine. I’m not in the life everyone else is living. Whether or not you face these challenges in your daily living is irrelevant. It is a superbly written book and I urge you to read it.